Announcing our new MINERAL-INFUSED AROMATIC THERAPIES!!! Click the button for more exciting info. Happy Misting! You’ll know how amazing you can really feel. SOURCE MATTERS: Our minerals are solar-harvested from remote, pristine sanctuary waters in the deep-sea Barrier Reef — not compounded in a lab or mined . . . and yours? YOU NEED FULL-PROFILE MINERALS EVERY DAY, which means all the major and trace minerals in their natural balance and proportions, in order to thrive. 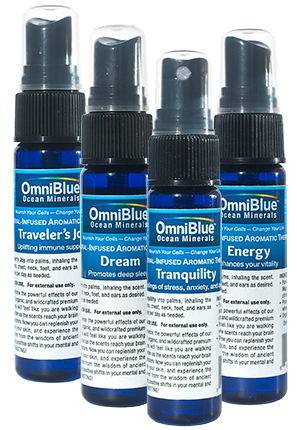 OmniBlue™ Minerals are 100% ionic and absorb thoroughly and naturally . . . do yours? Because OmniBlue™ minerals are full-profile, we are a mineral FOOD providing daily nourishment and are essential metabolic agents for all of your physiology. 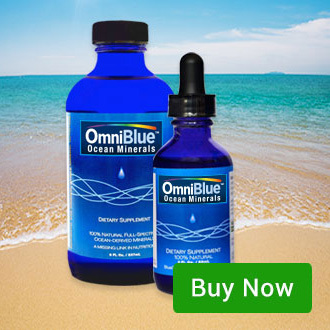 Experience the Golden Mineral Ratio in each teaspoon of OmniBlue™minerals: the perfect essence and balance within our living blue waters, recharging your whole system . . . welcome home. We have infused the power of our minerals with specially selected pure, organic essential oils from around the world derived from premium, hand-harvested, sustainably wildcrafted plants and flowers. No artificial ingredients or preservatives — just 100% natural and premium ingredients. Natural, bio-available, and highly concentrated ocean minerals, with 441mg PURE magnesium per teaspoon. Get yours now! Real-time community sharing, education, health, and life. Read the latest. 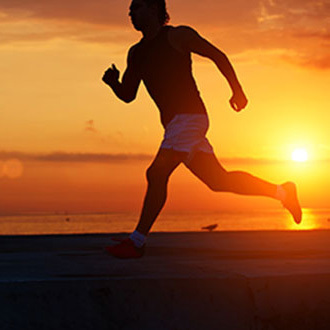 Improved digestion, better hydration, more energy, restful sleep, reduced stress. Discover the benefits of OmniBlue.